The Daily Record reports that a landlord is trying to evict George Veghte, a disabled man from Rutgers Village, a complex in Parsippany, NJ. He asked for help with his bed bugs. They told him to prep, but he could not follow all steps on his own. His lease was terminated Sept. 27, about a month after he said he posted fliers alleging that bedbugs had invaded 11 apartments, including his own. A hearing on the eviction notice will take place Oct. 26 at Superior Court in Morristown. Rutgers Village, in an Oct. 2 court filing, placed the bedbug blame squarely on Veghte. The apartment complex alleged that Veghte, on or before Sept. 17, “either intentionally or through gross negligence, created an infestation condition within his apartment” that he initially failed to report. The landlord also alleged that Veghte refused to cooperate with extermination efforts. 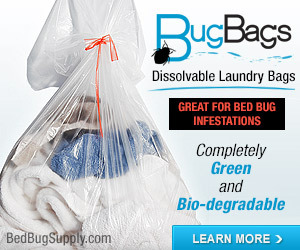 How could Veghte have “intentionally” caused a bed bug infestation within his apartment? 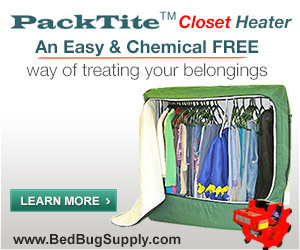 Does this mean he sought out bed bugs, brought them in, and infested his home?!? How could he have “created” the infestation through “gross negligence”? 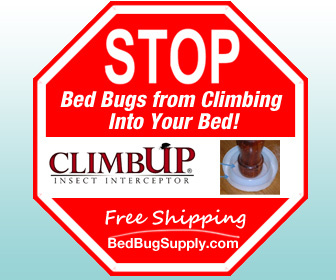 While it is true that someone might have bed bugs for a time and not report them, thus allowing the problem to escalate, we know that different people react to bites in different ways, and bed bugs can be hard to find. Unless they are crawling over the walls all day, it seems like it would be nearly impossible to prove how long someone had them and known about it. Failing to report the infestation promptly is another matter, and we really do not know what went on there. Parsippany housing coordinator Rena Plaxe said she was contacted by Veghte several times but did not intervene in the dispute. Plaxe said it appeared that the landlord had acted reasonably. “From what I understand, he found a bedbug. He put it in a Ziploc bag. He took it to the management office. They set up an extermination process for his apartment, but he’s been unable or unwilling to properly prepare the apartment. Therein lies the problem,” said Plaxe, adding that the landlord was able to do only “a cursory treatment” as a result. Veghte, a former truck driver who said he had not worked since 2002 due to three herniated disks and osteoarthritis in his neck and back, said he was unable to remove items from cabinets and closets as requested by the landlord to aid in extermination. “I’m disabled. I asked them for help,” Veghte said. What should disabled people do, if they ask landlords for help with prep and do not get it? Who can they, or the landlord, call? And why would a landlord evict a disabled person who could not do their prep? Veghte claims there’s more to the story. Rob Jennings reports for the Daily Record that Veghte feels he is being evicted because he told neighbors about the bed bugs via a flyer he distributed on August 25th. He received the eviction order on Sept. 27, and the building sent tenants a letter about bed bugs on October 10th. Regardless of anything else that happened, the building clearly did not warn Veghte’s fellow tenants about the possibility they were infested until six and a half weeks after Veghte distributed the flyers. They had to have known of this possibility since at least late September, at least two weeks before October 11, since the man was evicted then. Assuming Veghte did distribute the flyers without notifying the landlord of his infestation directly, which was not a good idea, several weeks at most could be proven to have passed between his knowing about the infestation and his notifying the office as per Plaxe’s description. Veghte’s being represented by Legal Aid. This is not the first time someone has been evicted for not doing the prep required for treatment. Last December, multiple families (including one with a disabled son) were evicted from an Edmonton, Alberta building for not properly preparing for bed bug treatment. Read more about that here. In that case and this one, the evicted individuals claimed to be unable to complete all the steps of required preparation. These can vary depending on the PCO. In the Edmonton building, the tenants complained of not being able to move furniture and other items, and not having anywhere to move them to. As the article implies, they may not have fully understood the reasons for prep, or how to go about it. In the current New Jersey case, Veghte is disabled. Although I understand that landlords do not feel they can do tenants’ prep, it simply is not acceptable that disabled persons, or for that matter, elderly people, busy single parents, or anyone else who has difficulty doing required preparations, should be evicted. Preparations can be time-consuming and demanding on one’s energy and physical abilities. If people need help, then there must be government agencies who will provide assistance in cases where people simply cannot do the physical labor, or do it quickly enough. Make no mistake: tenants must report bed bugs promptly if they are aware of them (and whether Veghte did or not is uncertain), and prep needs to be completed properly before treatment. Not doing so puts neighbors as well as the property in jeopardy, and I am not supporting anyone who fails to do those things. However, people who need help with prep must get this help. We cannot expect disabled or elderly people, or those with other legitimate limitations, to simply find help somehow. As a society that does not evict people for being physically challenged, we simply have to provide help. If this man is really being evicted for not doing prep, his eviction amounts to discrimination, and it’s just plain wrong. Let this story be a warning to tenants: notify your landlord promptly, and in writing, the minute you suspect a bed bug infestation. People whose first instinct is to simply self-treat could conceivably be accused of not reporting an infestation. In NYC, landlords are often happy to try and evict you, since they can raise the rent for the next guy. Don’t give them any excuse for doing so. And a warning to landlords: make sure your tenants understand how and why they need to prepare. Many good PCOs will give a talk at the building for tenants about the hows, the whys, and the wherefores. Education is key here. 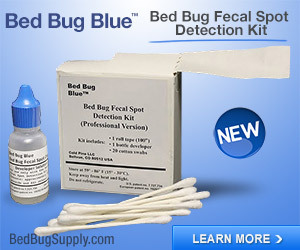 However, you have a responsibility too–to let tenants know of neighbors’ infestations. If you don’t, you may be sued, like this Chicago landlord. All’s fair in love and torts. And a warning to the rest of the world: we must find ways to help people who cannot prepare for treatment. Or there are soon going to be a lot more disabled people, elderly people, and parents of young children on the streets. What a shame. I am trying to find the Bedbugger Yahoo Group to get referrals for PCO’s in New York (Brooklyn / Park Slope) and had no luck keywording it. Do you have a direct link? 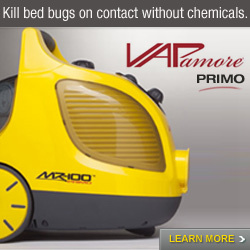 It’s linked to the right (sidebar) under Bed Bug Stories. 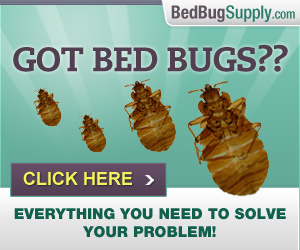 Also, you can try the Bedbugger forums for additional suggestions. Forums button to top right in sidebar. 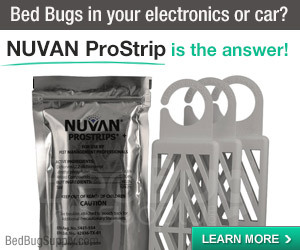 Looks like a classic case of a wealthy plaintiff punishing a whistle blower for communicating publicly about a bed bug problem. Hopefully Mr. Veghte will receive his justice from the court system. My heart goes out to this man’s situation. A big horray and pat onthe back for the flyers in order to get something done about it. I hope he will be okay. The only thing that is unclear is whether Veght actually did report the infestation BEFORE leafleting his neighbors. If not, he would be in the wrong on that count. The issue of a person with a disability needing help is a very specific one. Clearly, this country needs additional social services to support such persons, for combatting bugs and for many other reasons. That said, I want to comment from a unique perspective: I am a tenant in a 3-family house who takes care of the building for the owner. Here is my experience with tenants who fail to notify the landlord/owner or who fail to properly engage in the cleaning process. 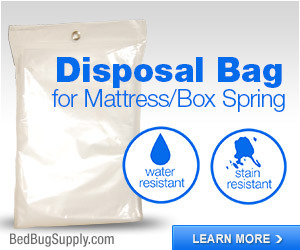 Our building experienced a bed bug infestation over 2 years ago. The only tenants afflicted left; we treated the entire building, with complete cooperation from all tenants, and noticed no further signs of infestation. Two years later, and 7 months after new tenants moved in to a different apartment , we noticed bites. The 7-month-old tenants were asked about bites within a day of our bites, and we learned that one of them had been getting bites since moving in but had not alerted us to this. The reason for this–genuine confusion, purposeful evasion, or a commitment to “bohemian” living– remains unclear. We hired a very thorough, engaged, articulate PCO, who stressed prep. I handed out the prep sheet, added a two-page list of tips culled from copious research, followed up daily, and made every accomodation–moving the appointment, offering to help, lending a vacuum. The afflicted tenant did the least preparation; though this person did not do nothing, this person was less than thorough and did not sit down to determine the logic of infestation and engage the cleaning process in a rigorous manner, as did everyone else. The result was that I had to bag this person’s closet full of clothes as the PCO waited to spray. If I were the owner, I would like to be able to begin a legal process to evict, recuperating whatever rent and extermination fees I could, as well as the hundred tenants have spent on dry cleaning, laundry, and Ziplocs, but it is not. And so, I am left to try and cajole an immature and semi-irresponsible person into an ethic of civic-minded behavior. How this can be done without clear sources of enforcement is unclear. My point is that landlords and owners face horrible situations: willing to treat (whether out of morals or the future habitability of their dwelling), they rely on the cooperation of tenants, who, even when carefully selected (as ours are), react in very unexpected ways to this situation, which puts character on display, bringing out the worst–and the best–in people. Moreover, there is no recourse for landlords and owners: what can we do, play hardball and kick these people out? To whom will an honest person rent such an apartment? My only idea is to add a rider to the lease spelling out the requirement for notification and the agreement to engage in all extermination preparation recommended by the owner’s agents. 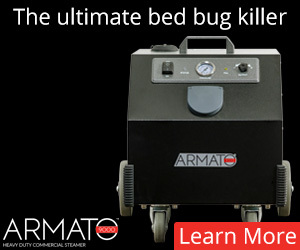 The truth is, no one is to blame for bed bugs. But we are all held accountable for how we respond. And, I just keep thinking, if I owned this building, I’d be sorely disappointed in the lack of cooperation I was receiving from the very person from whom I most needed it. Responsible owners of buildings need legal and social-service assistance; this much is clear. Though there are some tenants who also require such assistance, I fear there are many more who are derelict in their responsibility as neighbors and tenants. This is a situation where blame is hard to assess, where, left to waffle on the sea of uncertaintly, individuals must simply stand up and demonstrate character. That this is lacking in so many around me disturbs me more than any bites I get. Thanks for sharing your perspective. I agree with you 100% , as I am sure the other responsible tenants here would, that tenants must cooperate with treatment prep. 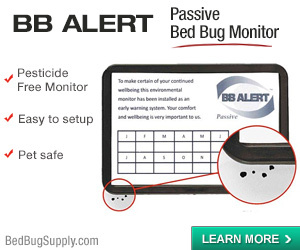 And they must notify landlords promptly of problems such as bed bugs. In many cases, it is clear to me that people simply do not know what is happening. 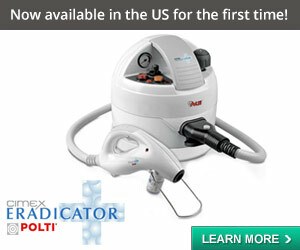 Many people with bed bugs are told by their doctors that they have mysterious skin conditions, or scabies, and so on. And then people who do not react at all to bed bug bites are even more likely to not realize they have a problem. We cannot assume such tenants are being neglectful. However, it is absolutely true that tenants who do have signs of bed bugs need to be forthcoming and to participate fully in treatment. I have said this many times. We regularly hear complaints, in fact, from tenants about their neighbors. I don’t think either of us is in a position to assess whether there are more tenants than landlords who are derelict in their responsibility. Believe me, many tenants are, and many are not. Many landlords, too, are neglectful and could care less. Not because they would not do whatever necessary to protect their property, but because they don’t yet get the bed bug issue. I feel bad for you and for the tenants in your building who are suffering because of this non-cooperative individual. A lotta people do not know how to react to a bb situation. When I found out my apartment had bbs, I hired my own pco and didn’t even realize that my landlord was responsible for payment, nor did I realize it was my duty to report that I had bbs so the landlord could act accordingly. There needs to be EDUCATION and flyers posted in the lobbies of all buildings and rental houses on all the signs of bbs and what to do if found. There also needs to be a law across country that landlords should be able to inspect, once a month, each apartment for bbs. Is this invading the privacy of the tenants. In this case I think not. The landlords will only be looking for bb infestations and that’s it and there would be one day a month scheduled so the tenants are not thrown off guard. I would not mind the landlord doing this if it meant no bbs in my apartment and to protect my family. Then, if the tenant refuses inspection, is subject to eviction. It only takes one tenant who does not do things correctly for the problem to persist. As far as if there are bbs found, there needs to be supportive services to help out the disabled or the people who can’t do it for some reason: single moms working 2 jobs and don’t have the time or money, people in wheelchairs, people who are emotionally paralyzed by the situation, etc. Laws need to be implemented. What I suggested is just that, suggestions. You can add, correct, delete or whatever. It’s just an idea, but I hope one that goes in the right direction. It’s just a shame that our country has come to this. I feel that the disabled, the elderly, the undocumented and a whole lotta others will continue to suffer due to this epidemic. If such a tenant tried to hire a professional organizer to help them prepare, and contacted NAPO, the National Association of Professional Organizers, they might find–as I did– that there were no professional organizers in my metropolitan area in that organization who said they would be willing to work in a home that had bedbugs. So even if one had the money to pay for help, finding help can be difficult. I have heard that some senior service workers are refusing to visit homes with bedbugs since they are afraid of getting infestations. 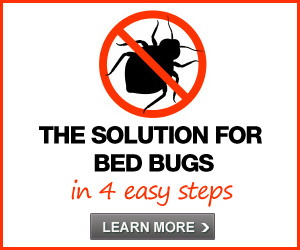 The problem of getting help when you have bedbugs is a great issue to raise here. Victory For George A, Veghte Over Landlord Dispute and Bed Bug infestation case. CC: Scott Wasmuth LSNJ SSI Project. Thank you Scott for believing in me. Special thanks to Bill Matrishen of Legal Aid of North West Jersey. Yes I am Quester, I have won the first part of this battle. and all the other scared residences living under these conditions. I am not clear on whether you live in Quester’s building. In any case, you should consult a lawyer. If you have the lease termination in writing where it says you won’t be charged, then you should be able to fight this. Whether you pay for extermination should be covered by local laws, but charging you after the fact like this seems off to me. I stress I am not a lawyer. Thanks for the reply. No I am not from the same building I am sorry should have mentioned I am from Chicago. I don’t have the notice of lease termination as it got lost during the 2 times I have moved since then. Our bug infested house itself was quite a mess. anyways. I have only 2 other notices saying they are treating the house and need full support from us. They never asked us to vacate any rooms or anythng and in 2 weeks just gave us a vacating notice. We confirmed many times on phone that they will not charge us lease breakage. They can twist words and charge us for other reasons? How can I find out if lessors are liable to pay for the extermination charges? That wouldn’t be justified, will it… as we couldn’t be knowingly responsible for getting the infestation in the first place and didn’t delay at all in informing. WE never realized what the bites were from for a few weeks. And when we did we immediately informed them. There is a link to tenants’ information on Chicago in our FAQ on landlord and tenants and who pays for treatment. You will need to find out more. We can’t give you legal advice, but the tenants’ link will help you figure out if tenants are liable. 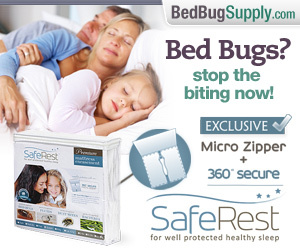 i wouldn’t be surprised that rutgers village has bed bugs. my friend used to live there a few years ago. when he moved in, he said that it was dirty and there were bugs in the apartment. 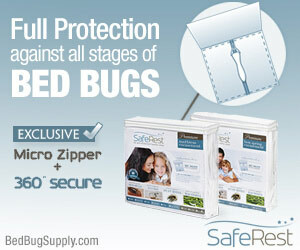 More Bed Bug Cases In Parsippany NJ. 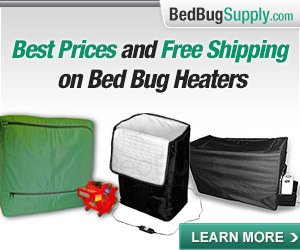 Related News to bed bug problems. NEWARK — A Parsippany housing inspector who allegedly accepted a $5,000 bribe from a contractor pleaded guilty Monday in U.S. District Court. Thomas Seibel, 59, of Parsippany, faces up to five years in prison and a $250,000 fine when he is sentenced Oct. 3. Seibel’s conviction was the second in three months of a Parsippany official on federal charges. In February, former planning board attorney John J. Montefusco Sr. pleaded guilty to illegally aiding a local developer in exchange for real estate discounts and other benefits for himself and family members. U.S. Attorney Christopher J. Christie, who launched a probe into Parsippany development more than a year ago, was not in court Monday. His spokesman, Michael Drewniak, did not link the two convictions except in general terms. “Our investigation of public corruption in Parsippany is continuing,” Drewniak said. Seibel, appearing before U.S. Judge Joseph E. Irenas at 9 a.m., pleaded guilty to one count of using interstate facilities — the mail and telephone — to distribute and facilitate bribery. He was released on $25,000 bond. “Out of respect for the court, we’re not going to comment until sentencing,” Seibel’s attorney, Todd Finchler said afterward. Seibel admitted meeting in his home with an unnamed contractor last July and agreeing to accept $5,000 in exchange for exempting certain projects from regulation and inspection, according to his plea agreement. The contractor was identified in court papers only as a “cooperating witness” living in Pennsylvania involved with several projects in the Parsippany area. At the meeting, Seibel allegedly told the contractor to mail the initial payment by check and write, “refund for kitchen cabinets,” on the memo line. He deposited a $2,500 check into his bank account on or about Aug. 10, authorities alleged, and accepted approximately $2,500 in cash at around the same time. Seibel is one of five inspectors in the housing division and a Parsippany employee since 1997. His 2007 salary was $38,480, business administrator Jasmine Lim said. Meanwhile, Montefuso’s sentencing — originally scheduled for Wednesday — has been postponed until Sept. 9, Drewniak said. Montefusco was fired two days after pleading guilty. He is facing up to 20 years in prison and a $250,000 fine at his sentencing on May 21, though the judge has indicated that he will receive a much lighter sentence. In court papers filed two weeks ago seeking nearly $172,000 in restitution from Montefusco, the town claimed it spent $71,378 in complying with federal subpoenas as part of the investigation. that everyone should know about this news. Please read more if you like. In Parsippany have gone way too far now. I have a state witness, A Miss Bambi Malarchak, Inspector 3, from the Department of Community Affairs who came from Trenton to witness this interrogation performed by this police officer on May 27th 08. Miss Bambi Malarchak was standing nearby, and in both my and the Officers presents during an act of devastating civil and criminal proportions. After requesting information of a nonexistent complaint, from Capitan Bandella, of the Parsippany Police I, Discovered no complaint was actually made, however the police officer acted on his own initiative and decided to harass me in the door way and in front of several other tenants invoking the threat of jail, this was mentioned by this police officer. This is unacceptable and unconstitutional to say the least. To me, this is a blatant disregard of my Constitutional rights, including as fallows, Harassment, the Making of false Accusations, Invasion of Privacy, Defamation of Character, and possibly also transmitting my personal business on public airwaves for all to hear, causing the further Defaming of my Character. This unsanctioned visit from this Police officer is a criminal and civil violation of my Constitutional rights. I have not broken any laws trying to help organize the tenants of Rutgers Village with the help of Community Affairs. This is where I live, now and so choose to remain living in peace with the knowledge, that we are all safe from this Kind of, manipulation and the total invasion of all our Constitutional Rights. We need to have a sit down Sir. And discuss this terrible injustice as soon as possible. It is my intention, to press formal charges against the police officer and the Township of Parsippany. Furthermore, if for some possible reason it is discovered through an investigation, that any one, is connected with Faber Builders and Or Grove Associates, or Rutgers Village, and Bedford Management, I will truly seek complete Restitution from all parties involved in this attempted intimidation upon me. I went to talk to Capitan Bandella today and requested a sit down with him directly. However the Capitan was not available for a discussion, so I left a request for him to have a meeting. The Misconduct of the police officer was so ordered by someone possibly connected with Grove Associates / Faber Builders. CC; Certified Mail}, and Regular mail}. I am not sure how your most recent post is relevant to the topic of this website. Previous post: No, not that DDT debate. A different one, trust me. Read on.